Mr. Lupin is a senior attorney with the law firm of Sullivan Stolier & Schulze LLC, a firm focused on supporting the regulatory, business development and dispute resolution needs of healthcare providers. The firm provides a broad range of legal services to health care providers including, but not limited to, services involving reimbursement under the federal Medicare and federal/state Medicaid programs, private insurance plans, fraud and abuse and other regulatory advice, federal and state administrative and judicial advocacy, medical staff and credentialing issues and related health care matters. Prior to joining Sullivan Stolier & Schulze LLC, Mr. Lupin founded the healthcare regulatory practice at a suburban New Orleans law firm. Before that, Mr. Lupin worked for 10 years at a large downtown New Orleans firm. 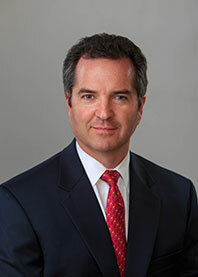 During his career, Mr. Lupin has represented numerous physicians, hospitals, joint ventures, managed care entities and other providers in numerous matters, including advice on Medicare and Medicaid, licensure issues, contracts, fraud and abuse, Stark laws and regulations, and hospital and medical staff bylaws. Mr. Lupin has represented purchasers and sellers of numerous health care entities, including hospitals, physician practices, and home health agencies.